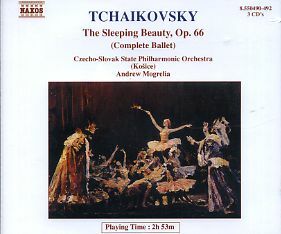 Andrew Mogrelia conducts Tchaikovsky’s score with a fine combination of warmth, grave and vitality. Moreover, the Slovak State Philharmonic proves to be an excellent orchestra for this repertoire, with good wind-players and equally impressive string principals for the important violin and cello solos. The Naxos digital recording is full and brilliant without being overlit, and the acoustics of the House of Arts in Košice bring a spacious ambience, with vivid orchestra colours. First class value.